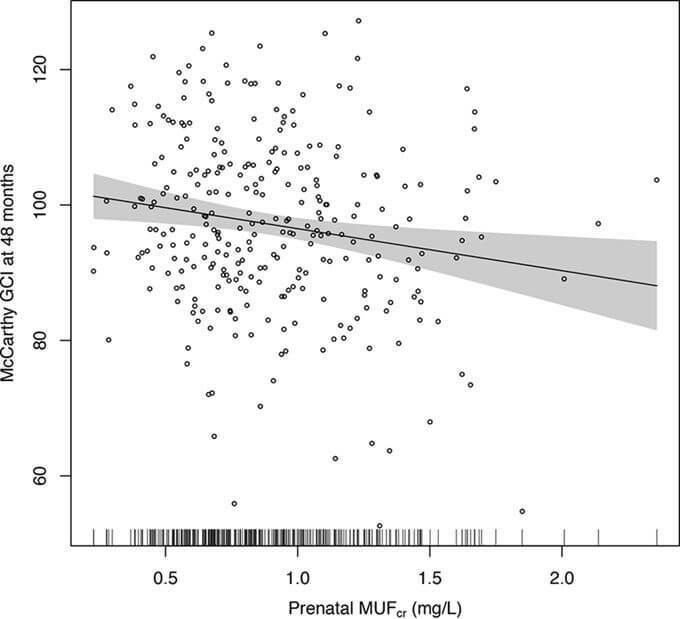 In a recent study published on September 19, 2017, in the journal Environmental Health Perspectives, researchers have found a link between fluoride in the urine of pregnant women and lower measures of intelligence in children. 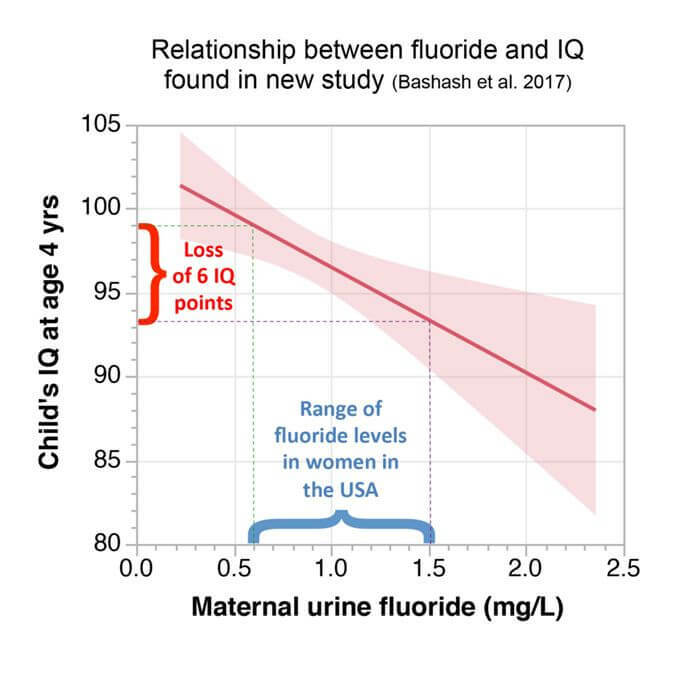 FAN has redrawn this graph in simplified form to better illustrate the relationship found between mothers’ urine fluoride and children’s IQ. This article (Fluoride Exposure In-Utero Linked To Lower IQ In Kids, New Study Says) was originally created and published by fluoridealert.org and is republished here under “Fair Use” (see disclaimer below) with attribution to author/website fluoridealert.org.